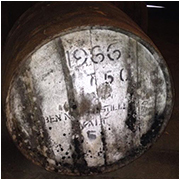 So, our 2nd bottle for our 5th Birthday celebrations, and this time it's a Ben Nevis that was sat in a cask from 1966 and bottles just shy of its 50th Birthday. It's dropped well below legal strength, so this is technically not a whisky, but in all intents and purposes it is - just a weak one. Granny's old wood furniture, woodchip, 'very woody', Atari wood grain, a bitumen wood shed, the inside of drawers (whose drawers?) 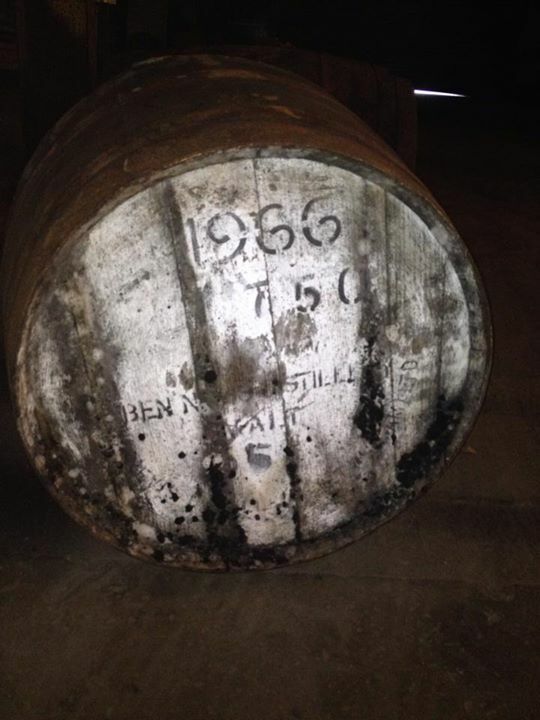 and a rotting Galleon suggest this has picked up a fair bit from its cask over the years. Not to be outdone, tupperware, 'plasticy', kid's toys, plastic kid's shoes and a post-banana sarnie box suggest it's got a fair chunk of plasticised smells too. Rubber boots and freshly baked banana bread attempt to traverse the gap between the two smell banks, whilst sour mash, vanilla, 'fermenting', quince, passionfruit (on second smelling), a hangover and Johnny Depp's dreadlocks make things a touch more eclectic. "Smells radge" and "holy fuckballs!" 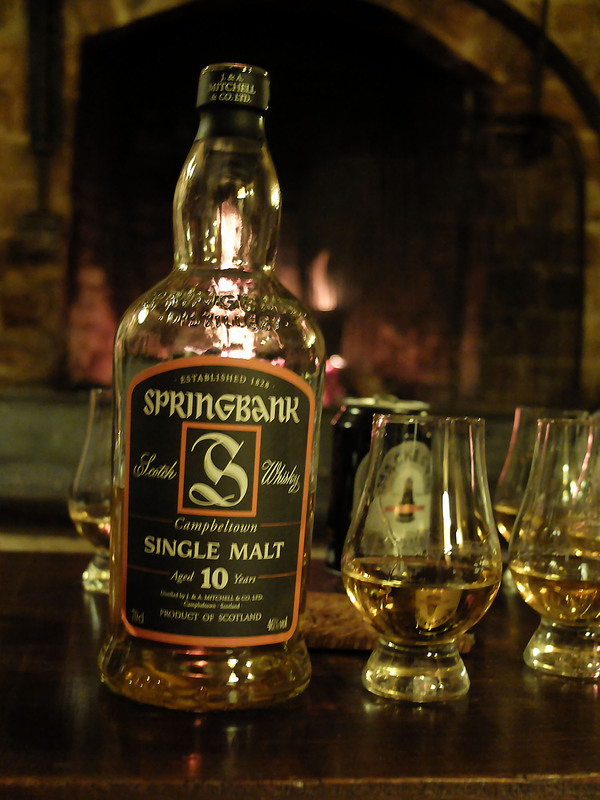 sum up the general feeling towards the smell, although there was some variation, with one saying it smelled boring, hard to place, generic and not very good and another saying it was the best nose of any whisky they'd experienced. Oloroso, then just sherry, then moudly sherry. Latex-y with a distinct (perished) rubberiness, old socks, vanilla, tobacco and Chinese takeaway. Fireworks, aloe vera gel, jelly and "that stuff you have to drink because it's good for you but this isn't good for you". It's also got hints of Zimbabwean cream soda that's gone flat (few had the ability to dis/agree here), lemon iced tea and coffee. In fact those last two were a common theme, with one expression of "weird! It's like cold tea! The taste, but not the disappointment, of cold tea". That was one of the more glowing comments, which says a lot... It turned sour with a pervading mossiness, specifically endangered rusty bog moss. "The green stuff". 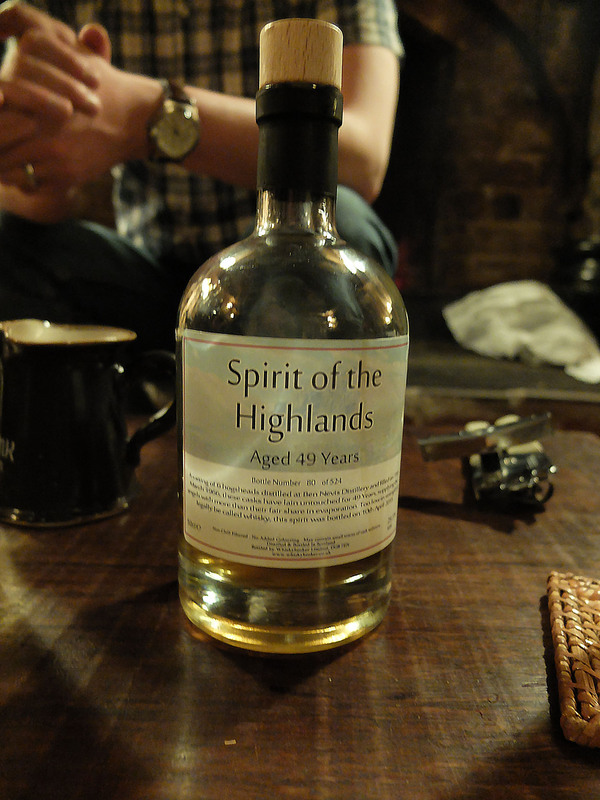 OK, this was always going to be interesting - weak, and very old, it's fair to say it went down with some trepidation. It had fleeting moments where it gave off the best of its 49 years of accrued wisdom, but it generally just hinted at niceties. It finished with the taste of when you swallow paracetemol and it stays in your mouth (described as "acrid and horrible") and the taste was said to hang - it doesn't congeal. The cold tea / coffee vibes are still around too, but no positives it seems. Fun, great to try, but not mind-blowing! Random quote (presumably 'Shelley Corner'): "I'd lick anything once!"